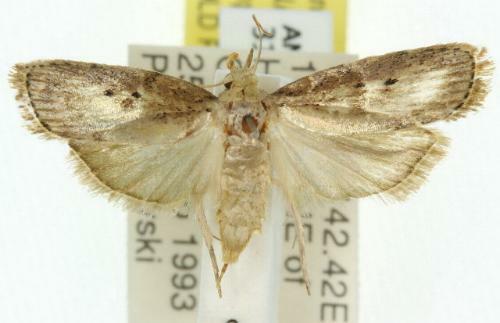 The adult moths of this species have brown wings with dark speckles on each forewing. The wingspan is about 2.5 cms. Volume 24 (1917), p. 50. Volume 8 (1901), p. 441, and also Plate 53, fig. 3.